Display a floating bar timer: You should pick this action when you want your countdown to appear floating on the top or bottom of your page. 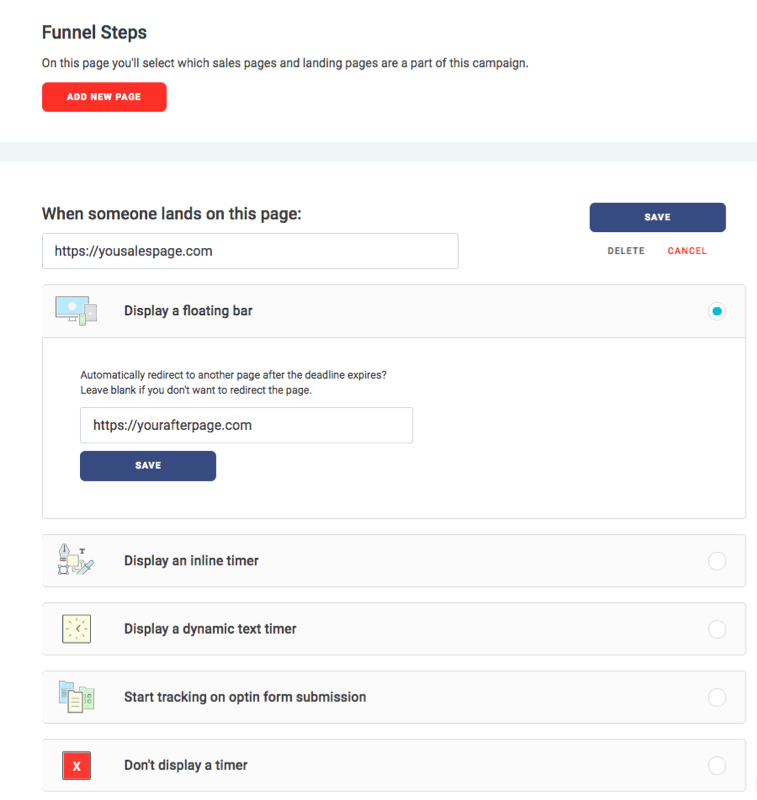 No additional code is required for the floating bar to appear on the page once you add the URL to your funnel steps. Display an inline timer: You should select this action when you want to control where the countdown will appear your page. After selecting this action, you will see the code you should place directly on your page where your countdown should appear. Display a dynamic text timer: You should pick this if you want to display the text of the deadline, personalized for each lead, on your page. Learn more about how that works here. Start tracking on optin form submission: You should select this action if you want the deadline to begin when your leads opt in. Don't display a timer: You should select this action if you don't want to show a countdown on the page, but still want the page to redirect after the deadline expires. The countdown will begin as soon as your visitors land on your page.